Fuel efficient and low maintenance, now with a wrap-around handle (R). 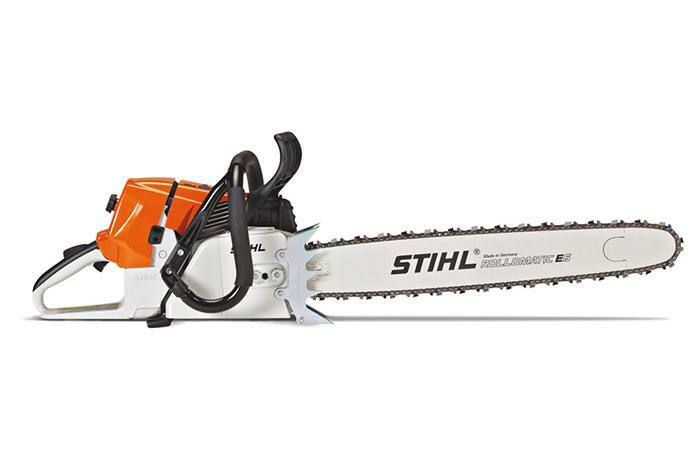 The STIHL MS 461 R chainsaw was made for tough cutting jobs and long workdays. This professional-grade saw is up to 20% more fuel-efficient than the MS 460 STIHL MAGNUM®, but delivers every ounce of the power. Its (R) designation indicates that this saw features a wrap-around handle. The wrap handle allows the chainsaw to be used in multiple positions for felling or limbing with hands in the proper positions. The MS 461 R also features our heavy-duty HD-2 filter technology for longer run times between air filter maintenance. 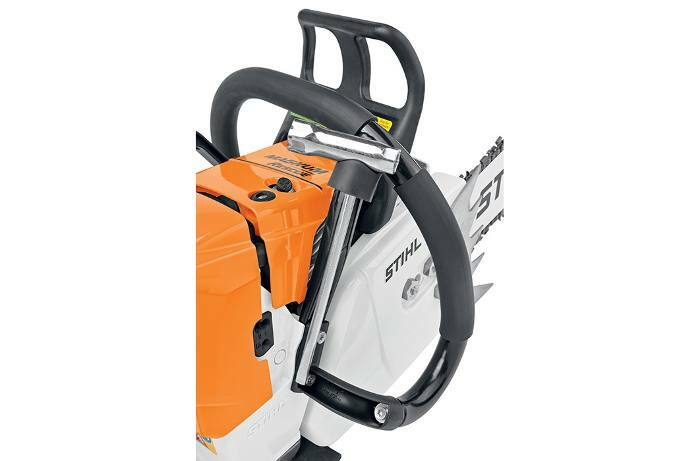 STIHL recommends #3624 (33 RS3 84) OILOMATIC® saw chain and 25" 3003 000 4030 Ematic™ guide bar combination. The actual listed guide bar length can vary from the effective cutting length based on which power head it is installed on.